I’ve been married almost 4 decades, have had a mother for 6 decades, have witnessed my wife as the mother of our children for 3 decades. From these various vantage points, it is an amazing thing to consciously observe and note the ways and means of Women and Mothers. Women are amazing. Beautiful and delicate like flowers; loving and nurturing like…Mothers, actually. An extension of Man since creation, intended for good and blessing, Women are helpers to men, lovers, and wise, nurturing counsel. The Bible calls it out. Yes, very high standards indeed. And any of us as men, women, and children, at various times in our lives live up to these standards or fall short. But God has blessed each of us with life originating from mothers who loved, cared and nurtured us from Day 1. 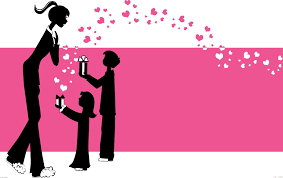 Let us on this Mother’s Day weekend re-establish our commitment to love, honor, respect, cherish, and support the women/mothers/wives of our lives who do the best they can every day. And I, as an imperfect, ever-developing son, husband, father, and grandfather, will seek to go beyond the flowers, card, breakfast-in-bed, dish washing, clean up the house, routine of this Mothering-honoring annual event, to a mindful, deliberate routine of Mother/Wife/Woman honoring and cherishing all through the year. Yes, today is the first day of my new resolve and commitment to my wife and mother of my children to “Make a Woman’s Day” every day. Are you honoring the Women in your life: Mother and Wife?